Here at R&M Manufacturing, we are committed to delivering competitive pricing. We understand that each customer has different needs, so we work with customers as individuals in order to provide them with what they need. There’s no doubt that we manufacture quality parts to exact specifications, but it’s important to realize that’s not all we do. Here’s a look at what else we provide our customers. Our in-house engineering capabilities mean we can guide customers through their design process and help ensure their print is dimensioned properly. We can help customers understand what our equipment is capable of. And if needed, we can reverse engineer a part too. 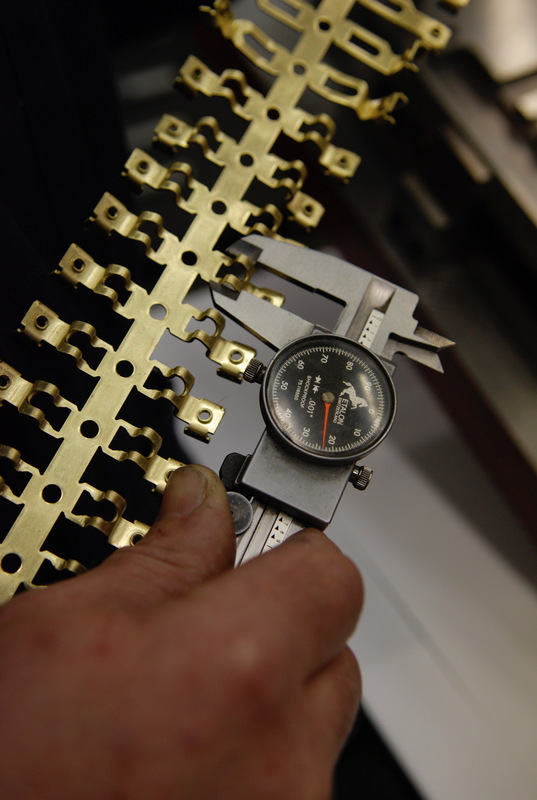 Our customers are more than welcome to visit the shop floor and see how their part is being made. They can view our process and learn what types of machines are used for their parts. The knowledge that comes from a shop floor visit can give customers knowledge about the best way to design and manufacture parts. Our quality program is here to assist customers on tolerance issues, appearance issues, issues that they need to validate their parts, and whatever else they may need from the quality side to validate their design. Every manufacturer is going to have a quality department because it’s required, but our quality processes are more robust than what you’ll find elsewhere. We go above and beyond by tracking DPPM (defective parts per million) and implementing continuous improvement procedures. Every single customer has a dedicated account management representative, and part of the representative’s job is to be the voice of the customer when it comes to internal operations. If they need another shipment in a hurry or if an issue comes up, they know exactly who they can reach out to for support. It’s someone who knows them and knows their business – we make a point to avoid cycling our customers throughout the company. Our approach to design and engineering includes a focus on manufacturability and tooling selection. We’re going to discuss options and opportunities with customers to ensure they get the best component for their applications. Sometimes, it would be better to stamp a product and in other situations, it may be best to fabricate. We’re going to have those discussions to help our customers make an informed decision that’s in their best interest. We do this because we have a commitment to manufacturing quality parts. A commitment to our customers to ensure that the product or tool they are receiving is going to be high quality, user friendly, and able to be used for a long period of time.